Ah, Europe…full of beautiful castles, romantic cobblestone streets, and ah-mazing desserts! 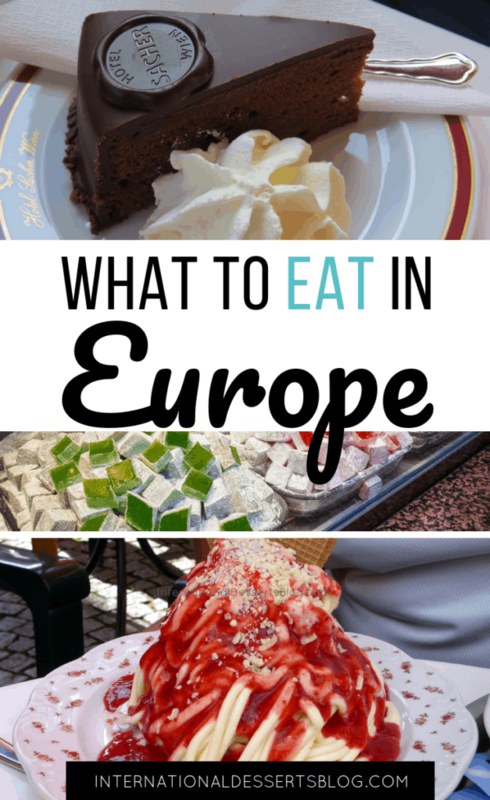 To help you plan the sweet side of your next trip to Europe (or find mouthwatering recipes to make right now), I put together this list of must-try European desserts. Pastries, cakes, ice cream, cookies, tarts, candy – and more – from all over Europe. You’re sure to find a sweet treat you’ve never heard of, as well as several you’ll definitely want to try. If you’re looking for a dessert to make now, click here to check out my international dessert recipes. 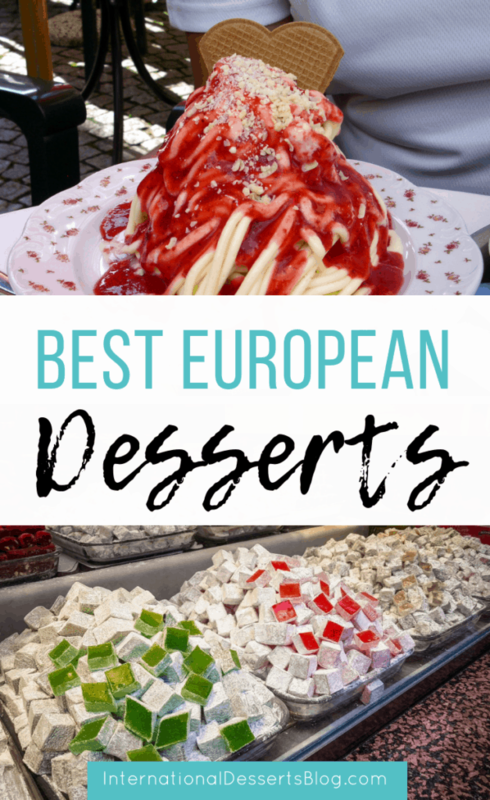 I’ll be adding to this list of delicious desserts from Europe, so be sure to pin it so you can check back! The construction of baklava begins with layer upon layer of paper-thin phyllo pastry, each light sheet separated by melted butter. In the heart of the pastry sits a mixture of nuts, usually walnuts, cinnamon and honey, or sugar, or sugar syrup. In other words, it is extraordinarily sweet. Once it is baked, the dish is cut into squares or diamonds, and sprinkled with pistachios. What results is a delightful concoction of sweetness from the honey, crunchiness from the walnuts and buttery smoothness from the dough. Ordering a single square is simply not an option. At least two or three are mandatory. 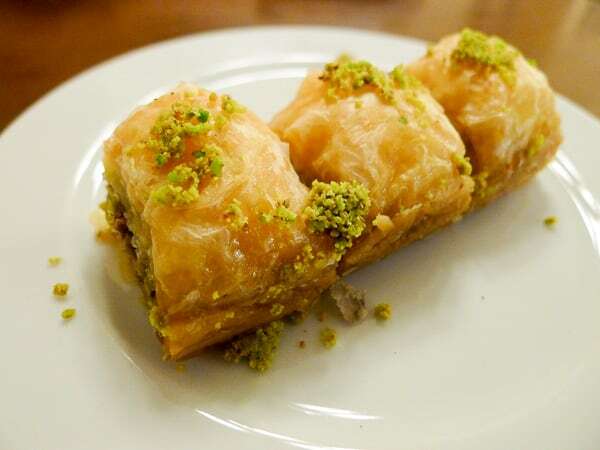 Baklava’s murky and controversial origins are still being debated – and claimed – by countries once ruled by the Ottoman Empire. But the most credible claims come from Greece and Turkey, two nations that have tried to assert their baklava birthright for centuries. In 2013 Turkey finally edged ahead when its Gaziantep baklava became the first Turkish product to be included on the European Commission’s list of protected origins. While this may temporarily quell the controversy, this dispute is unlikely to be over. As far as Greece is concerned, anything that places baklava’s provenance beyond its borders is a mistake, a delusion or an outright lie. Trdelník is a popular dessert in Prague, Czech Republic. Although originally from Hungary, this sweet pastry has made its way into neighboring countries and has become especially prominent in Old Town Prague and other tourist areas in the the Czech Republic capital. Often sold inside small bakeries or by street vendors, this yummy dough concoction is twisted onto a cone shaped rolling pin called a trndlo. The hollow sweet bread is then cooked over a warm oven and rolled in sugar. Trdelník, also known as chimney cake, is sometimes dipped in chocolate, sprinkled with cinnamon, or rolled in chopped nuts or candy. In Prague, the dessert is often filled with ice cream, whipped cream, or fruit to add an extra sweet touch to this heavenly pastry. Although some locals in Prague consider trdelník a “tourist food”, your taste buds won’t care what they call you, so when in Prague, let yourself delight in this warm, sweet delicacy. Kaiserschmarrn is a shredded pancake topped with icing sugar and served with some type of fruit sauce, jam or compote. The most traditional compote is Zwetschgenröster which is made of plums, but it can also be prepared with various fruits. Some variations of it also include nuts, raisins, plums or apples in the batter itself. One bite of this fluffy pancake with fruit compote fills your mouth with sweet and slightly acidic flavors that are perfect for anyone who’s looking for a dessert that’s not overly sweet. The history of it dates back to the 19th century, and several stories indicate that this dish was first made for the Austrian Emperor Franz Joseph I. Since it was his favorite dessert, the dish was called Kaiserschmarrn (Emperor’s Mess). 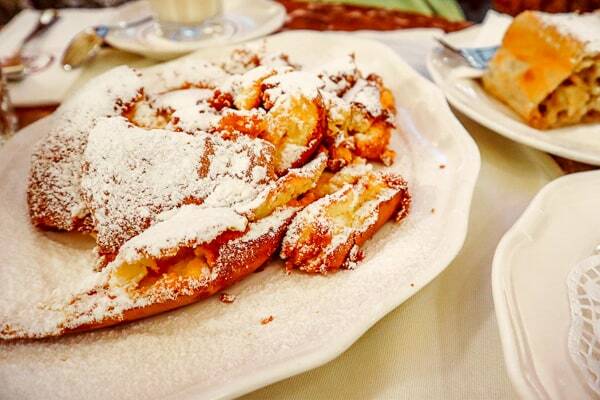 You can find this delicious dish in cafes and restaurants all over Austria, but Kaiserschmarrn is also popular in places like Bavaria, Hungary, Slovenia, and Croatia. No trip to Italy is complete without gelato. 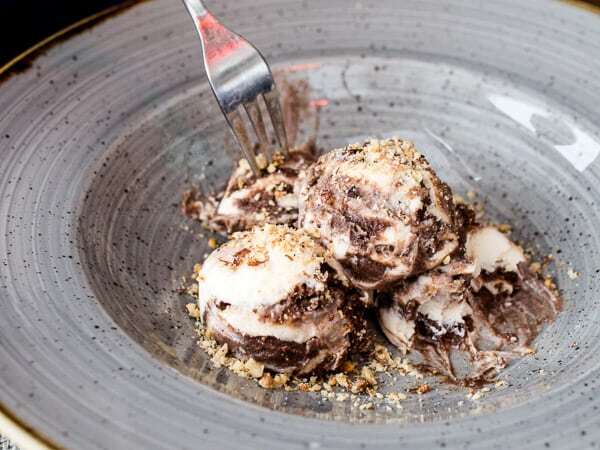 This frozen Italian dessert is like ice cream but creamier. Surprisingly, gelato’s delicious consistency comes from using less cream, more milk, and no egg yolk. There’s also less butterfat and less air than most American ice creams, which help bring out the flavor. 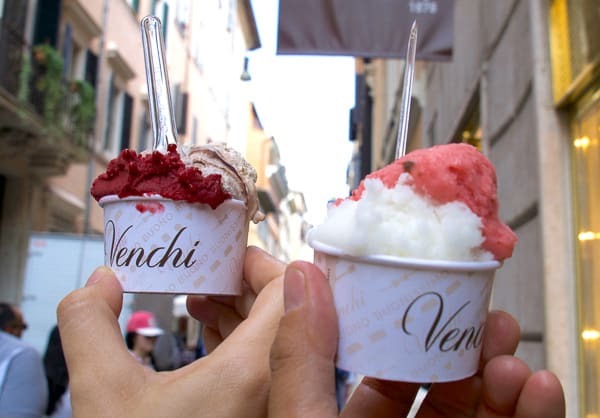 You’ll find gelato shops in almost every town in Italy, as well as most other European cities these days. True artisanal gelato is dished via spade from smaller metal containers that are kept covered with a lid for freshness. Avoid low quality gelaterias where the gelato is stacked up in a tall pile – this is a sign that unnatural ingredients are being used to preserve the gelato and it’s not made fresh. Traditional gelaterias will always serve fior di latte (milk), custard, hazelnut, pistachio, and chocolate. If you like Nutella, definitely give nocciola (hazelnut) a try! Order in a cup or a cone and feel free to ask for more than one flavor. Have you ever heard about the word Fika? It is an untranslatable Swedish word which refers to the sacred costume of having an afternoon break with a cup of coffee and some sweet treats. 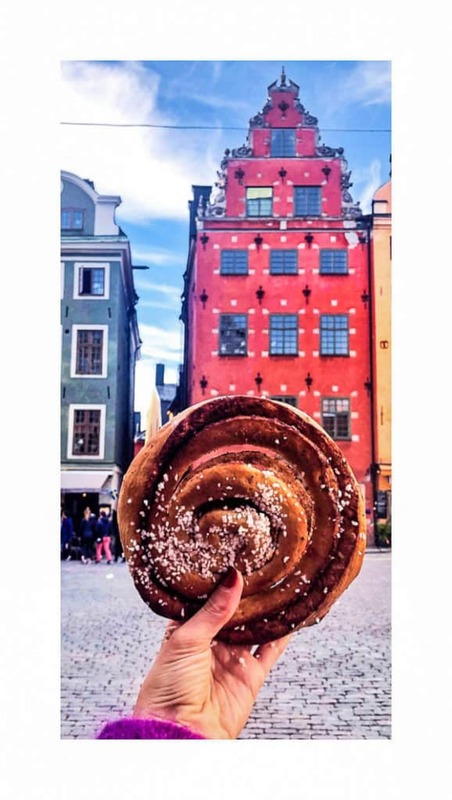 Well, if you happen to experience the famous Fika while traveling in Sweden, don’t forget to fill your belly with some cinnamon rolls. Made of a rolled sheet of yeast-leavened dough sprinkled with a mixture of cinnamon and sugar (if you lucky you can also find varieties with raisins or other yummy ingredients), cinnamon buns are so famous in Sweden that October 4th has been officially nominated as the ‘kanelbullens dag’, that is to say the cinnamon roll day. Wondering where to find them? Pretty much everywhere! Every bakery shop in Sweden sells them, as well as street vendors, cafes and even some supermarkets. You basically have no excuses: once in Sweden you should definitely try one – or two! Six layers of sponge cake stuck together with chocolate buttercream and topped with a hardened caramel: what could possibly go wrong with that? 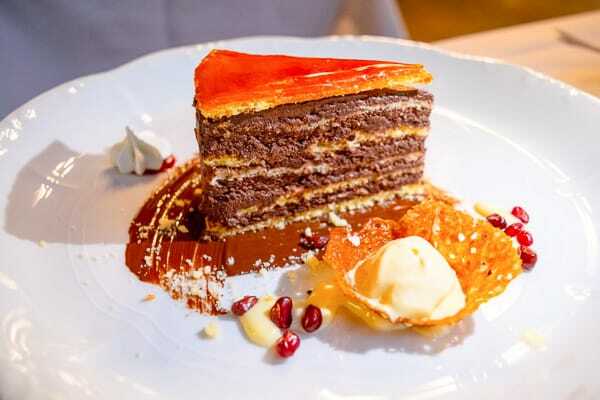 The Hungarian Dobos torta dates to the 19th century, when Jozsef Dobos invented the cake in part to find a delicious pastry that would last longer than others of the time (the hardened caramel shell, while a bit messy to eat, keeps the cake from drying out too quickly). 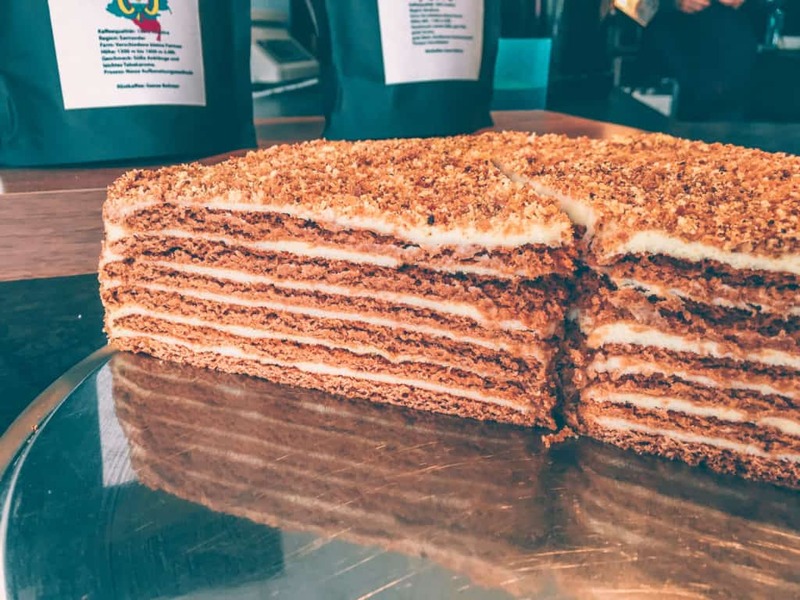 Today, you can find Dobos torta on the menu at coffee houses and cafes throughout Budapest, and is–in my opinion, anyway–best served alongside a cup of coffee in the middle of the afternoon. If you’re looking for a beautiful cafe to enjoy a Dobos torta in, New York Cafe in Budapest is both extremely popular and expensive. For a still-beautiful-but-less-crowded option, Central Cafe is the perfect place to order a hearty slice of Dobos torta. A soft spongy cake drenched in sweet creamy milk and topped with caramel – you’ll think you’ve died and gone to heaven! The name comes from the words tres leches which means three milks bread. Trilece is basically a light airy sponge cake drenched in 3 milks which traditionally were goats milk, cow’s milk and buffalo milk. Today it can be made with a mixture of cows milk and cream or a combination of condensed milk, evaporated milk and heavy cream. The different combinations have led to it being named “a Balkan cake of mystery”. Trilece is a traditional Albanian dessert, but it’s hard to keep something so delicious to oneself, so you’re likely to find it on menus across the Balkans and Turkey. It can be found at any of the multitude of patisseries across Albania for a deliciously soft, sweet, milky treat, enjoyable all year round. 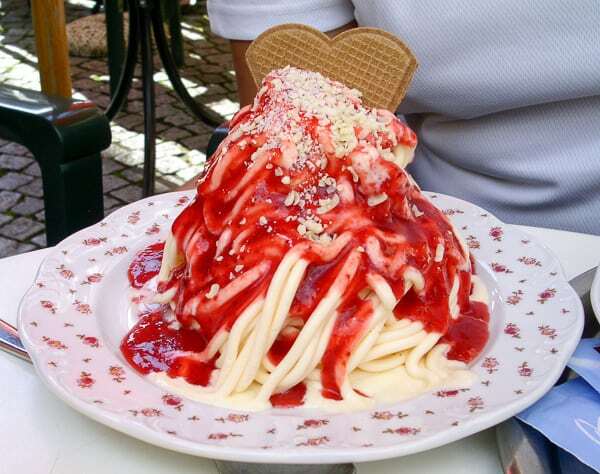 A favorite thing to do in Germany is go out to one of the many ice cream cafes for a snack or an afternoon treat, and in every cafe you can find Spaghettieis (spaghetti ice cream) on the menu. The name makes it sound a little uninviting as most people are not interested in having noodles and tomato sauce in their ice cream, but the dish is magical. First the server puts a huge dollop of cream and covers it with ice cream noodles, which is vanilla ice cream pressed through a ricer. Then strawberry topping and shaved white chocolate are added to complete the picture. Read: Germany’s best Christmas food, celebrations and traditions! 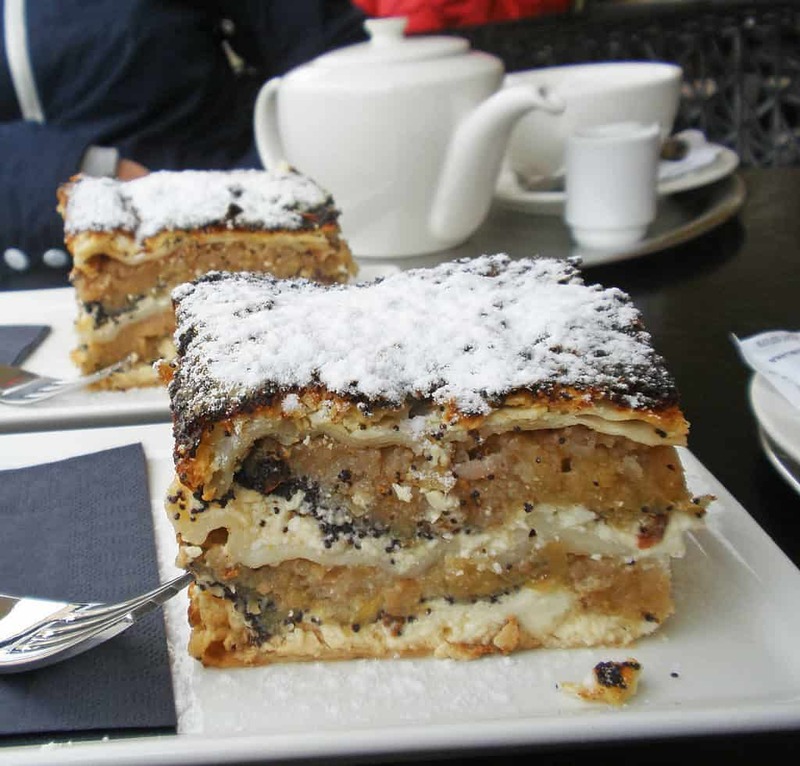 Prekmurska Gibanica is a Slovenian traditional layered pastry from Prekmurje region – hence the first part of the name. The second part comes from the verb ‘gibati’ which means to move and supposedly it derives from the fact, that you have to move around the kitchen a lot to make this cake. 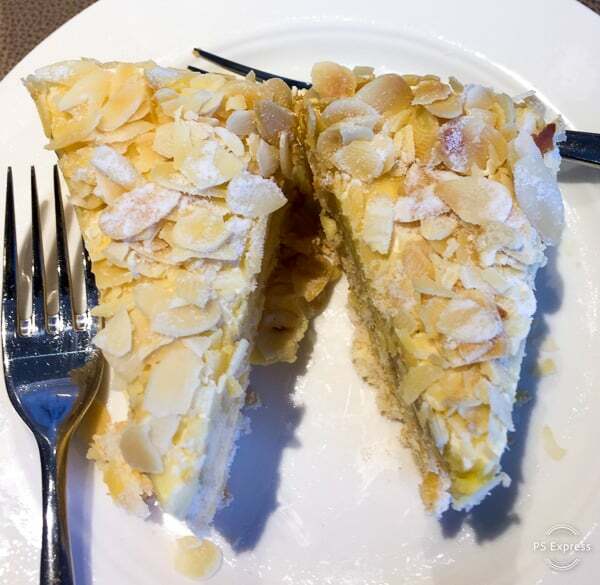 Prekmurska Gibanica, which you will often find on the English menus as an ‘Over Mura Moving Cake’ (name which many translators find ridiculous and wrong) is a layered cake, originally from the northern-east part of Slovenia. It consists of several layers – poppy seeds stuffing, cottage cream stuffing and walnut-apple stuffing, top and bottom of each layer is covered by a fragile dough similar to puff pastry. You can find Prekmurska gibanica in most of the traditional restaurants in Ljubljana, and probably everywhere in the region of Prekmurje. It is usually served sprinkled by powdered sugar, though sometimes it can be prepared in a glass. If you are very adventurous, Sorbara steak house in Ljubljana sometimes serves it ‘unlayered’ on a plate. There is no doubt that tiramisu is one of the best desserts in the world. A favorite of Italians, there is no reputable restaurant in the country that doesn’t include it in the dessert list. This uncooked cake, whose origins are found in Venice, is a perfect combination of savoiardi biscuits (the most similar thing you’d find overseas is lady fingers), dipped in strong coffee and layered with a custard made with eggs, sugar and mascarpone cheese. 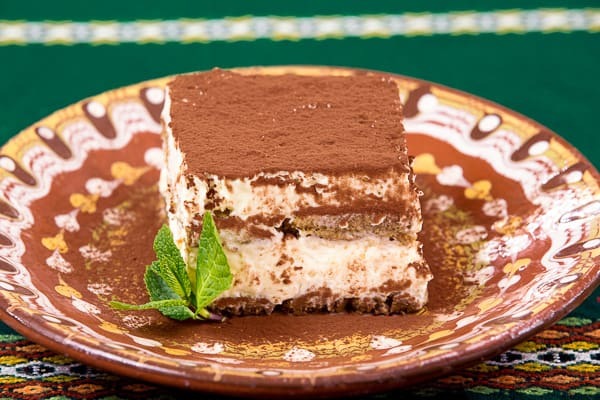 It’s not for the faint of hearts, really: rich, creamy and oh so flavorful, you may want to skip a meal so that you can properly enjoy your tiramisu. 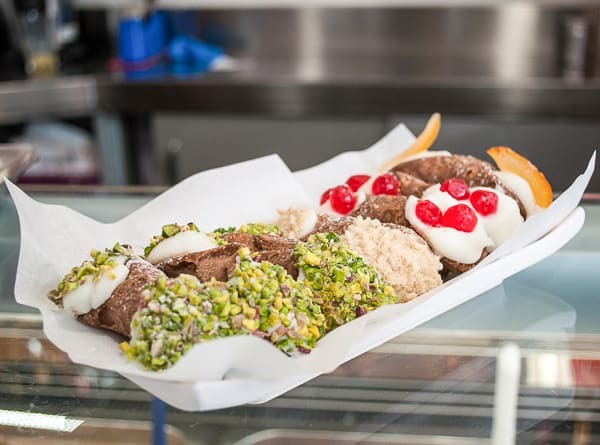 One of the best places in Italy to have tiramisu is Rome, where Bar Pompi, at Re di Roma, serves the traditional kind and also alternative versions with strawberries, pistachios and even chocolate and banana. They are all delicious. 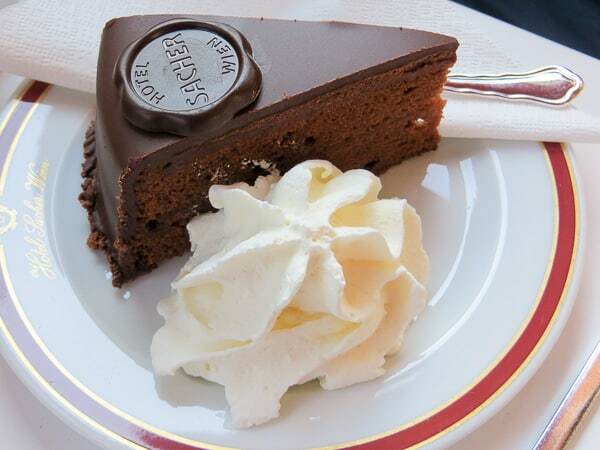 Vienna wouldn’t be Vienna without the unparalleled Sacher Torte – a magnificently rich chocolate confection served by the Hotel Sacher for more than a century. But the Sacher Torte is probably the only dessert in the world with a feud attached to it, and that makes it all the more interesting. When the Hotel Sacher went bankrupt in the early 1930s, Eduard Sacher took his father’s recipe to the famous Demel Bakery, in business since the 18th century (and a favorite of Empress Sisi, by the way). When the Sacher Hotel reopened in 1938, it began to sell the trademarked dessert and Eduard sued. The legal dispute went on for decades and finally settled in 1963, allowing both the hotel and the bakery to serve individual versions. Today, one of the most popular things to do in Vienna is taste the famous cake at either – or both! – of the two locations and decide which you prefer. There are a few unique dishes and culinary delights that you can find in Portugal, including the famous sardines at the Lisbon Sardine Festival. 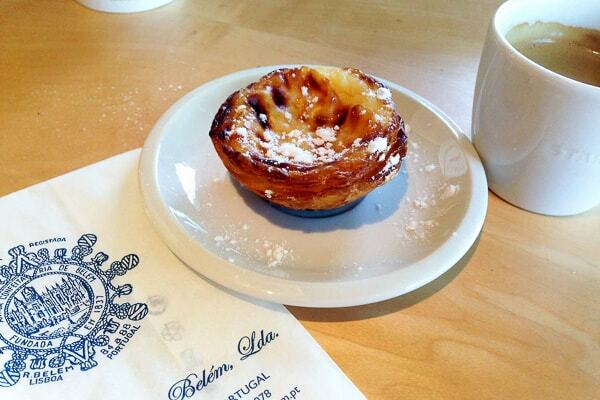 But if you have sweet tooth, you don’t want to miss the delicious Portuguese Pastéis de nata. Pastéis de nata, or the Portuguese tart, was invented by Catholic monks at the Jerónimos Monastery in the historic Belem district. This monastery is one of Portugal’s UNESCO World Heritage Sites, and one of Lisbon’s top things to see. The pastry tradition started in the 18th century, when the monks there decided to open a small bakery next to the monastery to continue funding of their religious mission. The dessert itself is an egg tart pastry, filled with custard and sprinkled with cinnamon dust. It is rich in flavor and, even though it is small, it is quite filling. Some Pasteis de Nata variations can be found throughout the country, and even as far away as Brazil, but it is worth your time and effort to get one from the original shop here in Belem. Success cake, or suksessterte, is a traditional Norwegian cake that is very popular in the north of Norway, but available in the south as well. It is a gluten free dessert, made with almond meringue and a sweet cream consisting of egg yolks, sugar, cream, and butter. Not good for the waistline, but so delicious you cannot resist! The version we had was topped with sliced almonds for a crunchy texture contrast. Other versions may be topping free or topped with shaved chocolate. Any way you have it, Norwegian suksessterte will transport you to dessert heaven! Whoever suggested the English can’t cook clearly had never tried our desserts. One of my favourites, Eton Mess, is a delicious concoction of meringue, whipped cream and fruit – usually strawberries. I tend to make mine with raspberries but you can use pretty well any soft fruit (or even a stewed apple or pear mixture). 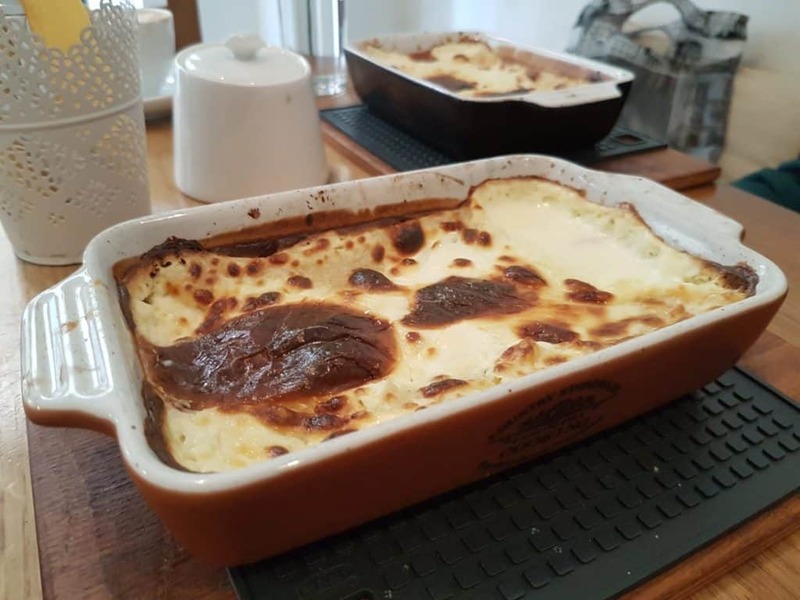 The two legends about this dessert, named after the famous British Public School are that Firstly, a frisky Labrador sat on the picnic basket of some of the spectators during the annual cricket match at the college. The strawberry pavlova looked ruined but spooned out into dessert bowls tasted great. The other story, one of the school cooks tripped on her way to serve dessert at the college. Once again, the broken pavlova was served up – and nicknamed Eton Mess. Whatever the true story, this is a delicious dessert for summer and, you can easily cheat by using shop bought meringue rather than making your own. 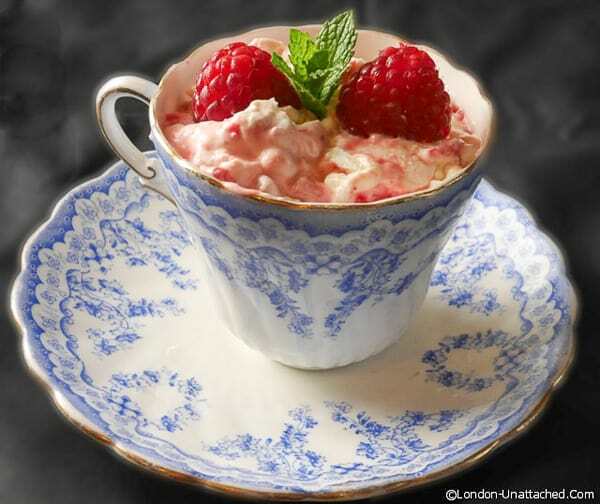 Get the recipe for quick raspberry Eton Mess and find out more with London-Unattached. Papanasi is probably the most famous (and most delicious) Romanian dessert. Whilst it does look like a “fancy donut”, it doesn’t taste at all like one. Papanasi, in plural, as it’s always served in pairs, are made out of flour, eggs, sugar and… sweet cottage cheese which has been drained for an entire night, so there is no liquid left in it anymore. The cottage cheese is what gives papanasi the specific taste and what makes their texture moist and fluffy. Once the dough is rested, they are deep fried in sunflower oil. The papanasi have a round shape, with a dough sphere on top. They are served covered with sour cream and sour cherry jam on top. Papanasi are really sweet and when I order them, I usually share one portion with friends. Some of the best Papanasi you can get in Romania are at Caru’ cu Bere restaurant, in the old centre of Bucharest. The portions are very large and it’s impossible to finish. You can find papanasi in most of the traditional Romanian food restaurants in Romania, if you can’t make it to Bucharest or can’t get a reservation at Caru’ cu Bere, which is very popular. Always remember to order this dessert with sour cherry jam, when you have an option of jams in the menu. This is the traditional way and it doesn’t taste the same with other type of jams. 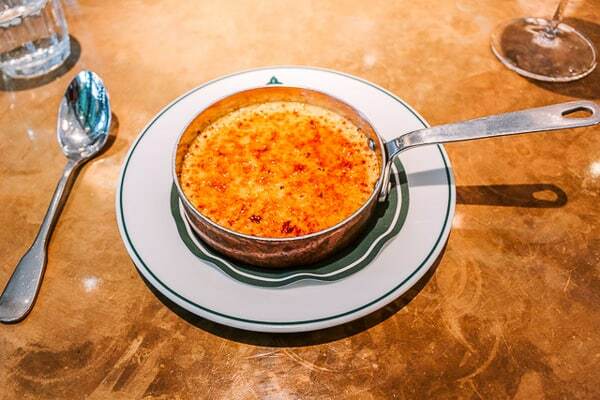 Crème brûlée is a classic French dessert that dates back to the seventeenth century. It’s very simple, usually consisting of only four ingredients: cream, eggs, sugar and vanilla! Usually served chilled, there’s a creamy custard-like base with a thin layer of hardened caramelised sugar on top. The sugar is usually caramelised only moments before being served and if you’re lucky you’ll see the chef do this with a blow torch right in front of your eyes. When your crème brûlée is served, you should take your spoon and slap the top the hardened top with the round side of the spoon. If it has been made well, this will make a satisfying cracking noise, which is all part of the experience. Traditionally, the custard is vanilla flavoured but in more recent times dessert chefs have begun experimenting with different flavours and additions. This is a very popular dessert option and you’ll have no problems finding crème brûlée on the menu in French restaurants. To order simply say, crème brûlée, s’il vous plaît! 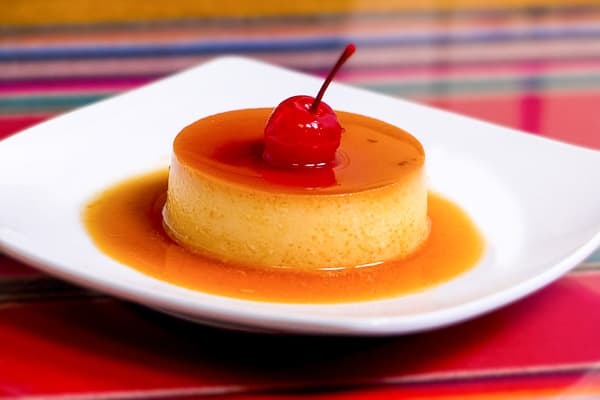 The Spanish dessert, flan has a long history. It is first recorded in ancient Rome 2000 years ago. As Roman domesticated chickens they found themselves with excess eggs. Culinary creativity ensued and the flan was born. In fact, the word flan comes from the Latin flado meaning flat cake. This tasty treat travelled throughout the Roman Empire was enthusiastically adopted by many but none more so than the Spaniards who were the first to caramelize the top of it. Recipes for flan have been appearing in cookbooks since the Renaissance. From Spain flan travelled throughout the Spanish Empire from the 1500s on and firmly established itself in Latin America, the Philippines and anywhere the Spaniards touched down. 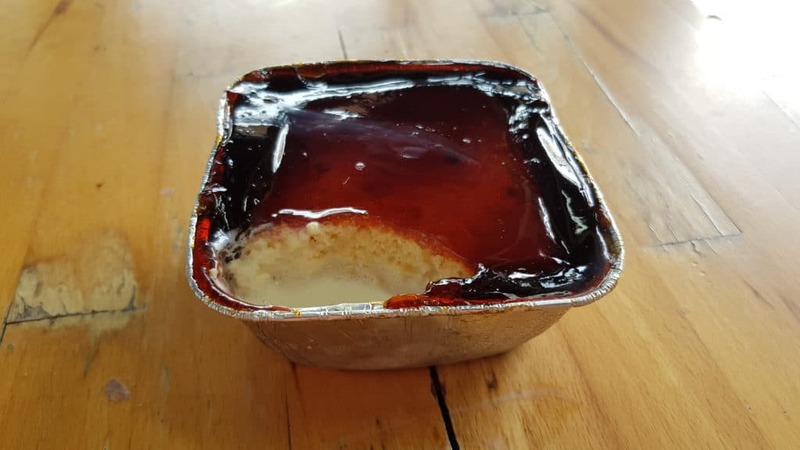 Flan evolved into many variations, but the classic remains a custardy concoction combining milk, eggs, sugar, vanilla extract, condensed and or evaporated milk topped with caramelized sugar and baked in an oven. Some cooks add fruit, whipped cream or other sweets to the end product. The result is a creamy custard with a rich and flavorful mouth-feel. No wonder its survived and thrived for over 2000 years! Cannoli originated in Palermo, on the island Sicily but are sold all over Italy and in Italian delis around the world. Crispy tubes of deep-fried dough are filled with fresh, creamy ricotta and sweetened with honey. Cannolo is the singular name for cannoli and means ‘little tube’ in Italian. These little tubes of deliciousness come plain or can be decorated with a variety of toppings. The ends are dipped in chocolate and then double dipped into ground pistachios, small cherry pieces, chopped almonds or candied orange. Cannoli was originally associated with Fat Tuesday (or Carnaval time) because that’s when the sheep produce more milk for ricotta from the fresh spring pastures. There’s a classic line in the film The Godfather about cannoli where some Mafia leave a murder scene with a box of cannoli and leave the gun behind. ‘leave the gun but take the cannoli’. Glad they got their priorities right! My top cannoli tip is don’t buy pre-filled tubes because the pastry will lose its crispness. Nobody should ever have to eat soggy cannoli. 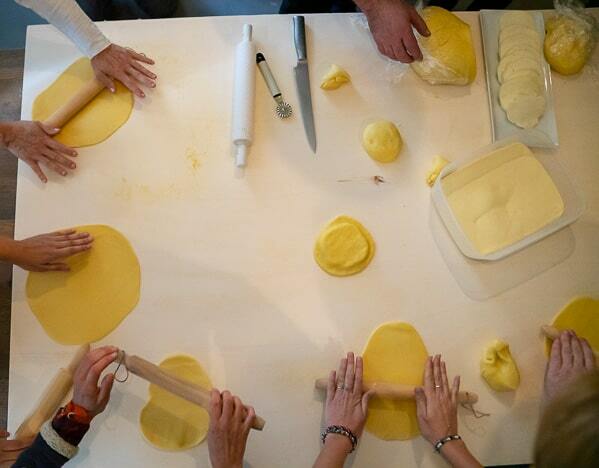 Make sure you see them filled in the pasticceria and then choose which naughty topping you’d like. See if you can resist eating them before you get home. Faworki is the national dessert of Poland and one of the most delicious European pastry. These thin, crisp cakes dusted with sugar are also known as angel wings because of their colour and shape. With a delicate texture that melts in your mouth, the subtle flavour of this sweet treat keeps you coming back for more. A work of love, making the faworki requires a lot of time and effort as its light and crispy texture can only be accomplished by a lot of intensive kneading. The dough is made with a lot of yolk and flavoured with rum, vanilla, or almond extract. 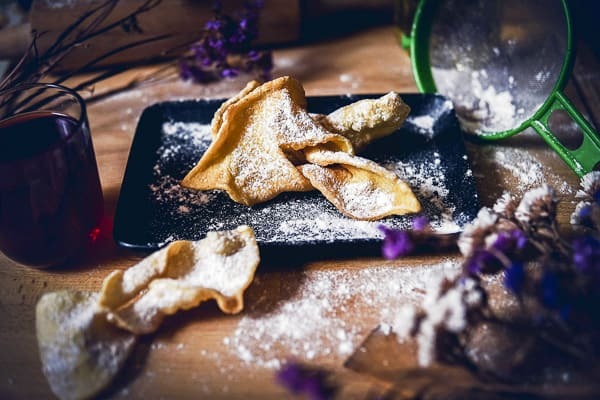 Also known as tlusty czwartek, which means fat Thursday, the best time to sample this dessert is during the last Thursday of carnival when it is sold in stalls and supermarkets. If you are lucky enough to have some friends from Poland, then maybe you will get to try this dessert during the Polish celebrations like weddings, Easter, and Christmas. 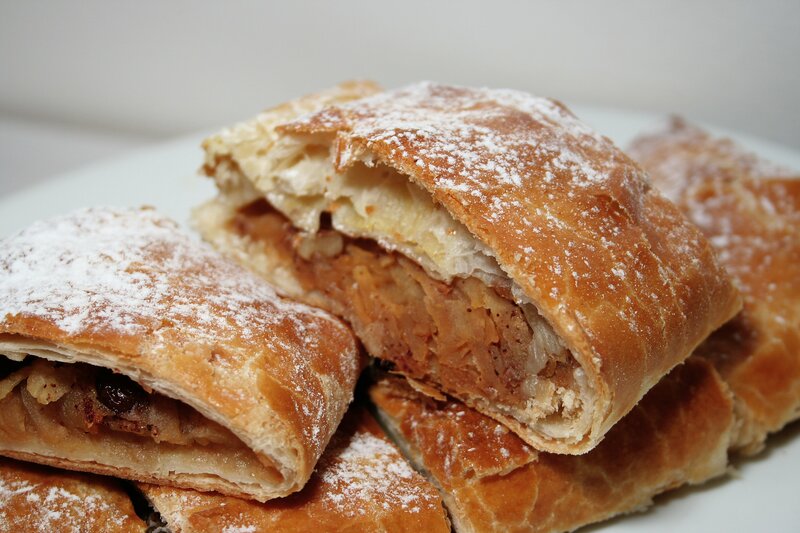 Zagorski štrukli or only štrukli is one of the most popular traditional Croatian desserts from the northern part of the country. You’re going to find it at many restaurants specialized in local cuisine in Hrvatsko zagorje region or at the capital, Zagreb. It’s a very regional dessert, so don’t expect to find it anywhere close to Adriatic coast. However, it’s so popular in Croatia, that it made to Croatia’s Ministry of culture’s list of intangible cultural heritage in 2007. It’s made of a thin dough with a cottage cheese filling, that could be baked or cooked. You can also choose to eat it as a salty or a sweet version. That traditional recipe evolved during the time, so today you can find it with variety of fillings. However, the original one is still the most popular. 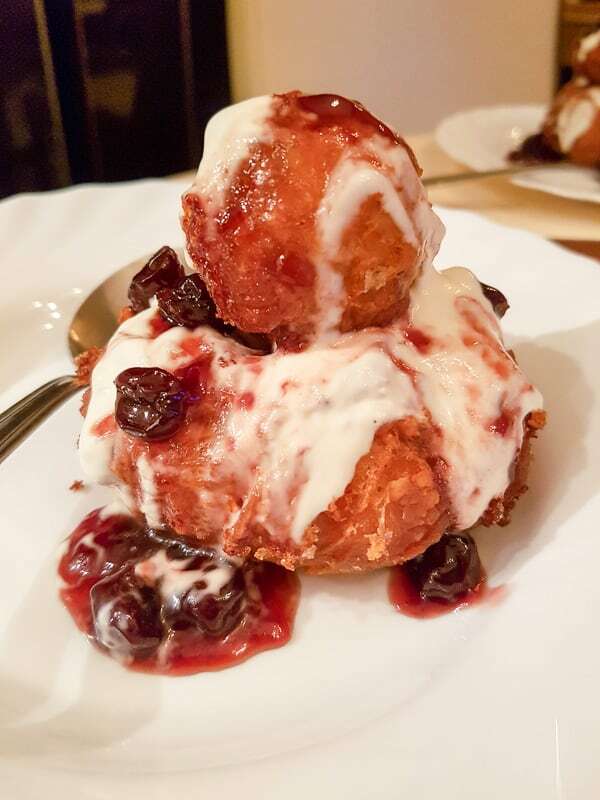 The best place to try it in Zagreb is La Štruk Restaurant, that specialized only in preparing this famous dessert. The crema catalana, or the Catalan cream, is a popular dessert in the Northeastern region of Spain of Catalonia, although it has spread throughout the country. 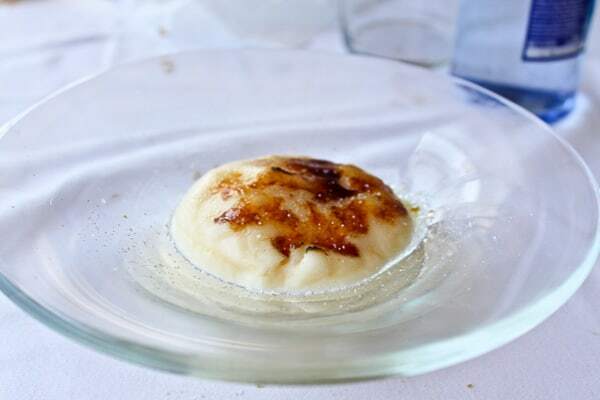 It first makes its appearance in Catalan literature books from the from the 14th century, which makes the crema catalana one of the oldest European dishes of its kind. It’s known to be eaten on on Spain’s Father’s Day (March 19) but nowadays, it’s consumed anytime. It’s often likened to the well-known French creme brulee, but it’s more creamy and has less of a custard-like texture. It’s prepared with eggs, sugar, flour, and milk and also has hints of lemon peel and cinnamon. It can also used in other confections such as a filling in ensaimadas (a Majorcan pastry) or xuixos, a pastry from Girona. The best part of eating this dish is the way Amelié from the film “Amelie” does it – by cracking the caramelized top shell with your spoon! You can usually find it at any Catalan restaurants serving traditional local food, such as in Barcelona. Vla is a Dutch dairy product made of cow’s milk, eggs, cornstarch and sugar. It’s similar to custard and has a consistency comparable to yoghurt. The original product, flavoured with vanilla, is still the most popular today. For a long time vla was only available in The Netherlands and Surinam, but in recent years it was also introduced in Germany and Belgium. Initially there were only three flavours: vanilla (‘vanillevla’), chocolate (‘chocoladevla’) and white (‘blanke vla’), with the latter having a more neutral flavour. Nowadays vla is available in many flavours, such as caramel (‘karamelvla’), appel cinamon (‘appelkaneelvla’), banana (‘bananenvla’) and coffee (‘hopjesvla’). There’s also ‘dubbelvla’, where two flavours are combined in one carton. Provided you don’t shake the carton too much, the flavours stay separated when you pour them. 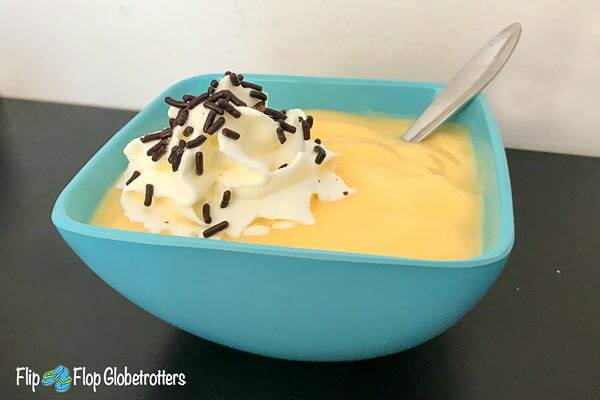 Vla is an incredibly popular desert in Dutch households and it’s sold in all Dutch supermarkets. Strangely enough you’ll be hard pressed to find a Dutch restaurant that has vla on their desert menu. So if you want to taste this typical Dutch desert, locate the nearest supermarket and buy it there. If you happen to find yourself in Austria at some point this year, and are in need of a tasty treat, then you need to try Viennese strudel! It really does taste incredible and is a famous desert, not just in Vienna but all across Austria. In my opinion, it’s best enjoyed on a cold wintertime visit to Austria, whilst wrapped up nice and warm with a cup of hot chocolate. The most famous dessert from the Netherlands is the stroopwafel. This sweet dessert is said to have began in Gouda where it’s referred to as the siroopwafel. For a long time, these delicious treats made with leftover breadcrumbs sweeter with caramel syrup were something for the poor, however their popularity grew in the 20th century. Eating a stroopwafel is sweet, gooey, and messy in the best way possible. Today, stroopwafels are generally made with two thin waffles with a layer of caramel syrup. 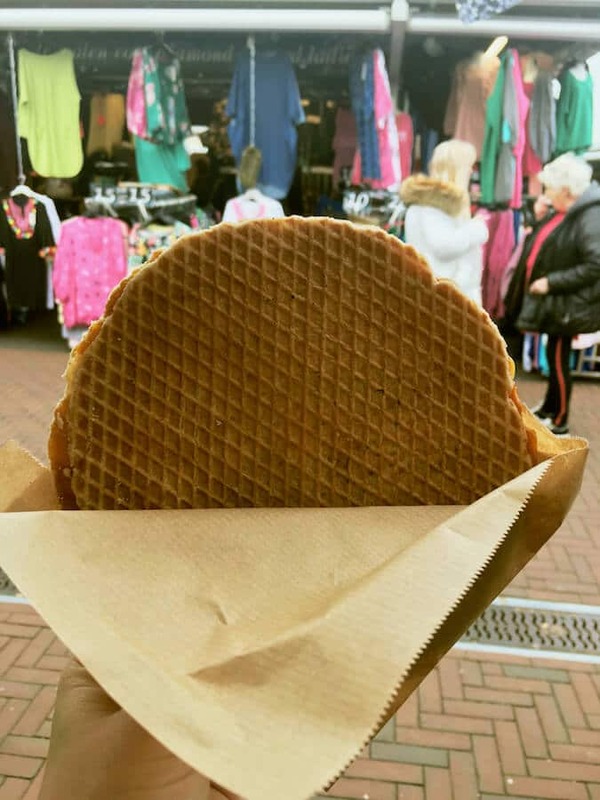 You can typically buy fresh made stroopwafel that is made in front of you at most Dutch markets although premade stroopwafels are often served together with drinks bought at cafes. It’s traditional to place a stroopwafel on top of the rim of your tea or coffee as to soften the waffle. You can certainly visit Gouda for the most authentic version at one of the bakeries that claims to have invented it. Read More: 5 best sweets to try in Amsterdam! If you visit the French Basque Country in the South-West of France, you will meet everywhere “le Roi du gâteau basque”. It seems that each pastry belongs to this “King of the Basque cake”! So you can easily imagine how important the Basque cake is for Basque people. This cake is the emblem of the Basque Country. Originally, it was the family recipe of a pastry shop in the small spa town of Cambo, where the writer Edmond Rostand lived at the same time. Nowadays it has become so famous and asked for so much that a collective has created a label, Eguzkia. 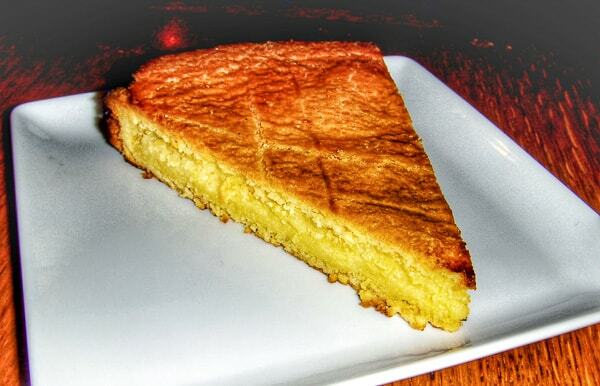 The Basque cake Eguzkia is a cake made in a traditional way, without artificial colouring or additives, and according to the original recipe. It is a dry biscuit filled with black cherry jam from Itxassou, another Basque village, or with pastry cream with white almonds. You will also find it in most restaurants in the French Basque Country. To get the best one, ask for a “gâteau Basque fait maison” – a homemade Basque cake – or if it’s an Eguzkia Basque cake. One of the most unique desserts in the world, Turkish delight is a can’t-miss dessert to try when you visit Istanbul. This traditional candy is made from a base of a gel of starch and powdered sugar, then it is flavored with traditional syrups and nuts. A few of the most common flavorings are rose, bergamot, vanilla, pistachio, and walnut. Typically, they are then dusted in powdered sugar and served alongside a strong Turkish coffee. However, more and more often, you’ll find artisan variations on this traditional Turkish sweet, and you’ll find Turkish delight rolled in coconut, chopped nuts, dried edible rose or hibiscus petals, and other beautiful (and delicious) add-ons. 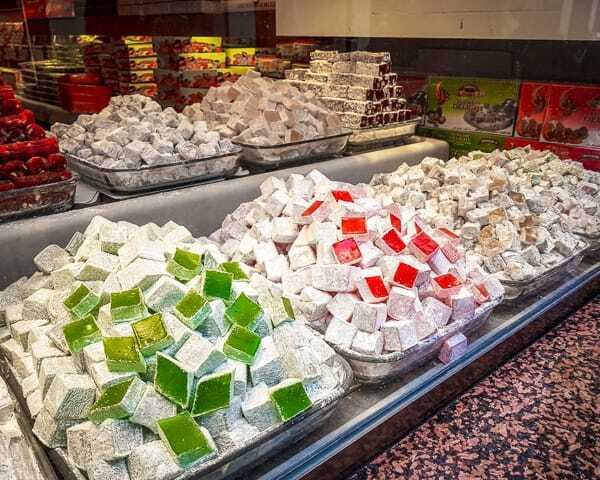 While you can buy Turkish delight in a box at nearly any place selling Turkish souvenirs, it’s even better when you get to try it fresh from a local candy shop! 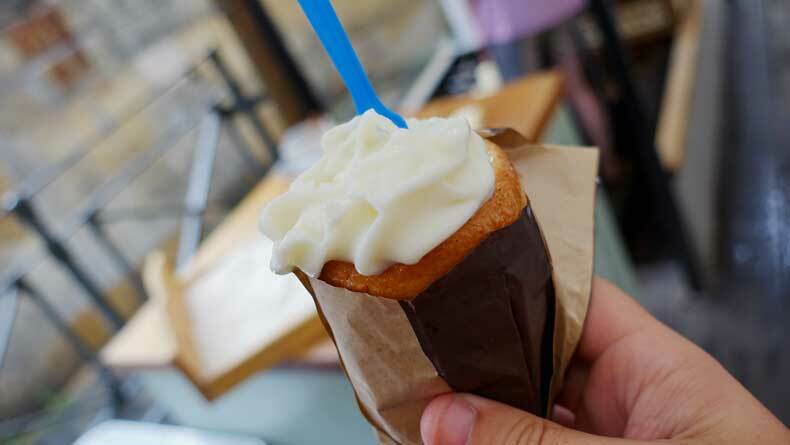 Baba au rhum (rum baba) is one of the few sweets originally Parisian and it is really good! The real baba is made of water, eggs, butter, flour, yeast, and of course, rum! It is said this cake was “invented” by the future king of Poland Stanislas Leszczynski, who was living in Nancy for a while (he also was Duke of Lorraine). He liked the kougelhpf (a typical Alsatian cake) very much but it was too dry for his taste so he asked his pastry chef to add a little bit of rum, and voilà how the baba was born! Later, in the XVIII century, that original recipe was perfected by Nicolas Stohrer, the descendant of the King Stanislas’ pastry chef, in his pâtisserie in Paris. This patisserie still exists (Pâtisserie Stohrer, rue Montorgueil in the 2nd district of Paris and apart from selling the best babas au rhum of the city it is a beautiful shop also classed as Historical Monument. 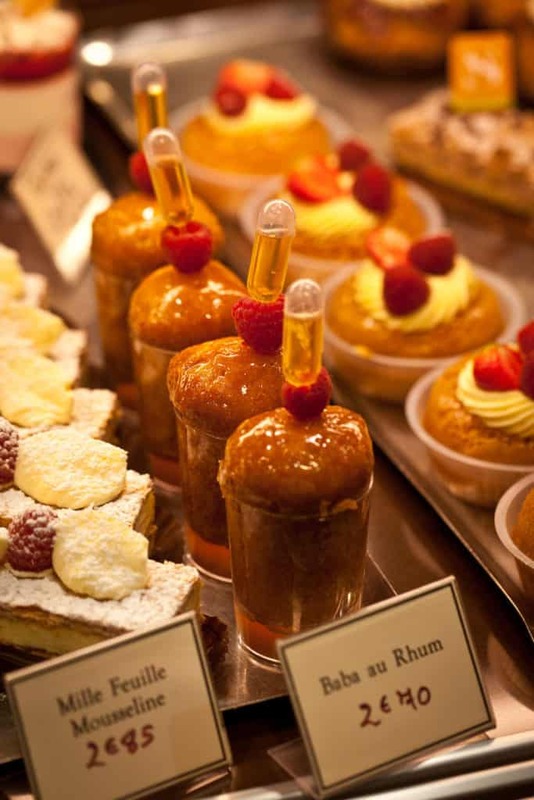 Babas au rhum are served cold and it is a very Parisian dessert, often proposed in the bistros of Paris. One of the best known Sardinian desserts is sebadas, made with deep fried pastry stuffed with Pecorino cheese and drizzled with honey. It is a very ancient dish, prepared throughout the island since the times of Ancient Romans. The pastry is traditionally made with semolina flour and lard, but lighter versions are also available. As for the cheese, some people use a chunk of pecorino, others prefer grated – it’s delicious anyway! It’s also very filling, one sebada is enough for two people to share in most cases, unless you’re very hungry. It’s easy to find sebadas on most restaurant menus around the island, since it’s common throughout. I actually made and then ate my first sebada during a cooking workshop organized at Montiblu, a concept store and restaurant located in Nuoro, a town in central Sardinia. 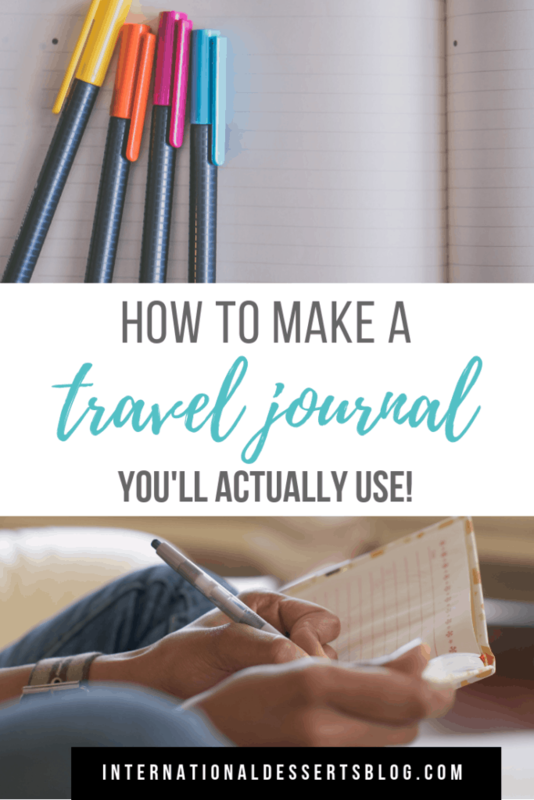 It’s quite easy – if I made it, anyone can! It’s best to enjoy sebadas just after it has been fried, when it’s still hot throughout, but it keeps for a couple of days. 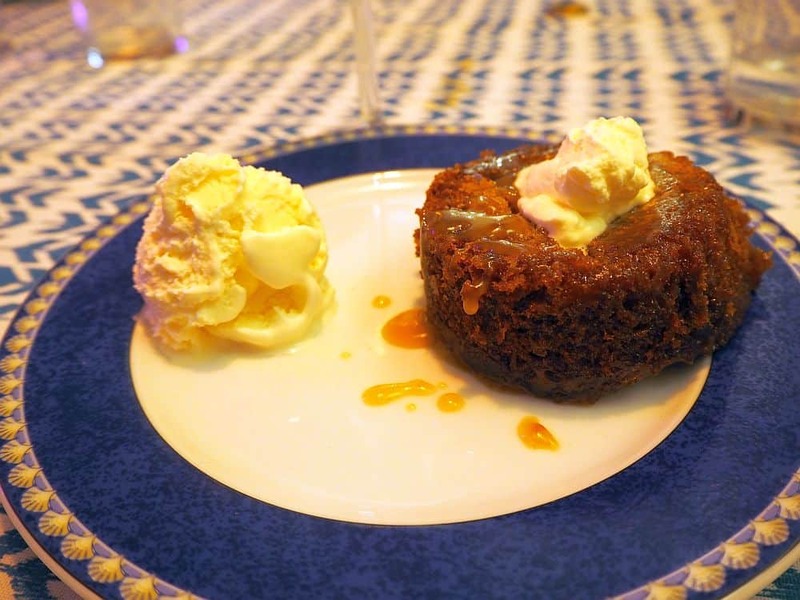 Sticky toffee pudding is a dessert you’ll often see on pub menus all over the UK. A small, dark cake, swimming in syrup, it is usually served with a bit of whipped cream or a scoop of ice cream. I never knew what it was that made it so delicious until my son, who loves it as much as I do, told me it was his favorite “pub grub” from our trip to England. I decided to bake him some. The main ingredient turns out to be dates … and a lot of sugar in various forms. If you order sticky toffee pudding in a pub, the cake will be smooth and surprisingly light, considering how soaked it is with the sugar and cream syrup. If you bake it at home and chop the dates by hand, the cake has more texture, which I like better. In either case, the only additional spice is vanilla, so the flavor is carried by molasses and the dates: a rich, dark flavor that is perfect for rainy, cold days. In Paris, street stalls serving dessert crepes are everywhere, and they are a daily indulgence for our family when we visit. 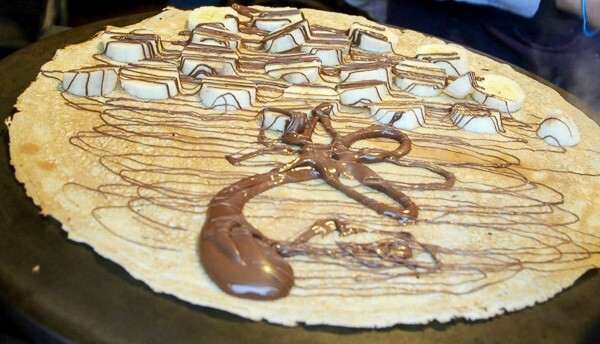 There are so many delicious sweet options in Paris, but crepes are undeniably one of our favorites. If you ever get a chance to visit Paris, we highly recommend you take delight in at least one. Crepes originated in Brittany, a region in western France, but they have become so common all over the country, that February 2 has been declared “Le Jour des Crepes”, the Day of the Crepe. In Paris, you can find crepe stands in every neighborhood. There is also the option to have crepes in more formal sit down restaurants or cafes, but we prefer the street option. Crepes are thin pancakes made of eggs, flour, milk, salt and butter, and are filled with a variety of ingredients. They can be savory or sweet. We are partial to the sweet dessert choices. When ordering a dessert crepe from a street vendor, you first need to decide on the ingredients you want for the filling. The most common options include strawberries, bananas, sugar, chocolate, butter, nutella, whipped cream, iced cream, and caramel. In our opinion, the best dessert choice is the combination of nutella and banana, with butter and sugar taking a close second. Once ordered, the vendor will ladle the perfect amount of batter onto a very hot, circular cast iron pan, spread the batter thin, flip it to cook both sides, then, when it is cooked to perfection, your requested ingredients will be placed on top. Finally, the crepe will be folded into thirds and handed to you in a napkin sleeve for you to enjoy. Voila! Bon Appetit! Biscuit cake, or Biskvitena Torta, is a ubiquitous dessert all over Bulgaria. This no-bake cake has a subtle flavour – but it’s the ultra-creamy texture I love best. As far as desserts go, Biskvitena Torta is about as simple as they come. First, a classic custard cream is made from milk, sugar, eggs and flour. Next, a packet of supermarket biscuits (malt or vanilla will do) are individually dipped in milk and layered with the cream in a cake tin. For a real treat, the Torta can be made with homemade Bulgarian Maslenki (jam-filled cookies) or Medenki (honey-spice cookies) instead. Finished with a sprinkle of walnuts or coconut on top for a bit of extra texture, popular flavours include chocolate, vanilla, or my personal favourite, sour cream and jam. Biskvitena Torta goes perfectly with a coffee or a shot of rakia (Bulgarian fruit brandy) if you’re into into your digestifs. Every restaurant (and I’m sure every family) has their own way of making it. I tried all different shapes and sizes during my time in Bulgaria. I especially loved this rendition pictured, served in icecream-like scoops. This chilled dessert has summer written all over it – but I still found it on almost every cafe menu in the middle of winter. It seems that any season is a good time for Biskvitena Torta. Honey Cake, or Medovik as it is called in my home country, is perhaps the most popular Russian dessert outside of Russia. I’ve seen it recreated in numerous restaurants around the world and recipes published online by the likes of the New York Times and Smitten Kitchen. Medovik is made of 8 to 10 almost paper-thin cake layers that are separated by creamy filling. Cake batter is made using honey, hence the name. The filling is usually made by combining sour cream with sweetened condensed milk. Some people choose to add honey to the filling as well as to the cake batter. The result is an airy, light, soft cake that is not overly sweet (pardon the cliche, but given the amount of honey and condensed milk in the recipe, you might expect the cake to turn out too sweet and that is not the case). Rumor has it that medovik was invented by a chef of the Russian royal family. According to the legend, the wife of Russian Emperor Alexander I, Elizaveta Alexeevna, hated honey and prohibited its use in any dishes cooked for her. Nobody seemed to tell that to the new cook at the palace, so he created a honey cake for her. Surprisingly, the empress loved the cake, and the rest is history. Whether the story is true or not doesn’t matter any more since in the XXI century the cake is not reserved for royalty and many Russian women make it at home. You can find medovik on the menu of pretty much any restaurant that specializes in Russian food or in bakeries. *Unless otherwise noted, photos are creative commons or were authorized for use in this article by the contributor.